JAMMU: The BJP Central Election Committee announced names of its candidates for five Lok Sabha seats in the State. The CEC deferred the mandate for Ladakh constituency but again chose sitting Members of Parliament (MPs) Dr Jitendra Singh and Jugal Kishore from two Jammu seats. 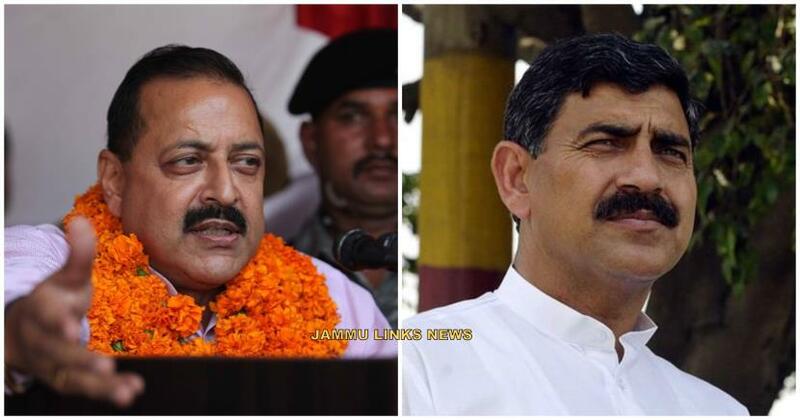 The five chosen candidates include Dr Jitendra Singh from Udhampur-Doda and Jugal Kishore Sharma from Jammu-Poonch Lok Sabha seats, both sitting MPs, Mohammad Maqbool War for Baramulla-Kupwara constituency, Sofi Yusuf, former MLC for Anantnag-Pulwama segment and Khalid Jehangir for Srinagar-Budgam seat. Also, the candidate for sixth Lok Sabha seat will be announced soon. As per reports, BJP decided to retain both candidates for Jammu-Poonch and Udhampur-Doda Lok Sabha due to the developmental works done in their constituencies. And BJP State president Ravinder Raina chose to help all six candidates instead of contesting elections. Also, former minister Choudhary Lal Singh was in the list for Udhampur-Doda constituency but his name was dropped later. Three names were submitted for Ladakh Lok Sabha seat which included Ladakh Autonomous Hill Development Council (LAHDC), Leh chairman, Jamyang Tsering Namgayal and Chering Dorjay, former Minister but BJP CEC didn't clear any name as Ladakh seat goes to polls in the fifth phase on May 6 and there was sufficient time with the party to finalize name of its candidate.